One secret to maintaining your personal peace is the creation of a “More-Grace-Needed” list. This is a list of people and/or things that annoy you; that make you forget you’re trying to turn over a new leaf. Maybe you have a coworker who waits for you get out of your car in the morning to walk in together when all you want is a few minutes of quiet before your work day begins. Or those things like, having to fill out a litany of forms every time you visit your doctor. Isn’t the purpose of selecting a primary care physician is to eliminate the need to tell your life story every time you have a hangnail? This list is not only for outside factors. 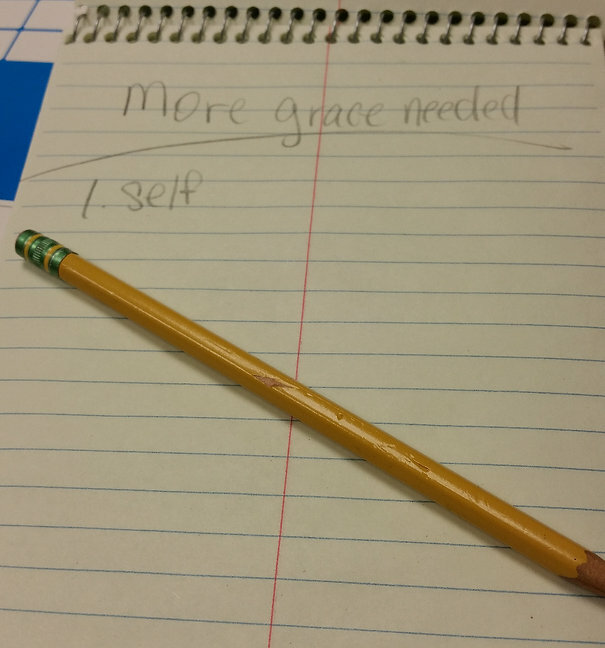 Sometimes you need to put yourself on the more-grace-needed list. Grace is the extension of courteous goodwill. Grace says I see you. Grace says you irk, but I irk too. Grace is the space you give yourself and others to simply be. Grace is not waiting for whatever annoys you to pass, instead grace is continuing to move when that last nerve has been completely worked. So every time you feel the need to close your eyes and count to ten in an effort to prevent a disruption to your personal peace, quietly whisper “more grace needed”. This calls to your attention the need to extend to this person or thing just enough space to carry on without disturbing your peace. Calling on more grace is as much for you as it is for the annoyance. Calling on more grace gets your attention. It allows you to press reset. Try it; the extension of grace is even more beautiful than the feeling of the word crossing your lips. Grace says I see you. Create your list with a pencil because there will be a lot of changes. Your more-grace-needed items will change often because when you handle what bothers you today with grace, it’s not a problem tomorrow; however, life is full of more grace needed moments so your list will never be permanently empty. More grace.